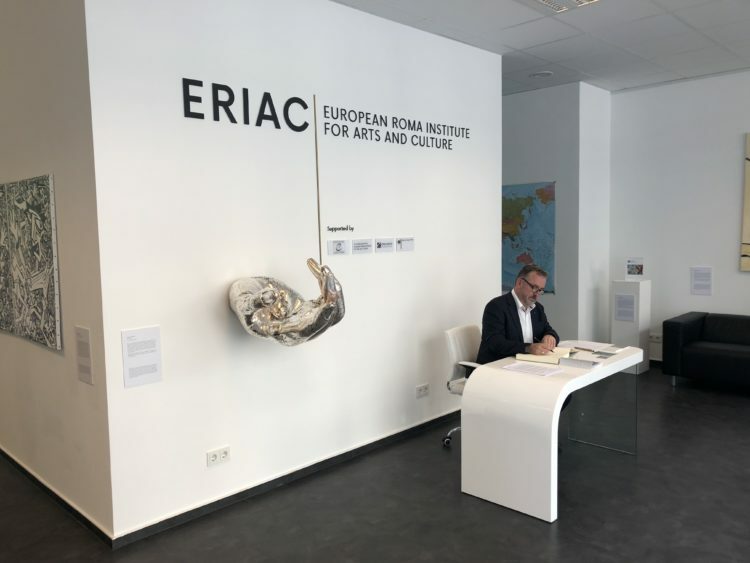 Bernd Fabritius, the newly appointed Federal Commissioner for Ethnic German Resettlers and National Minorities visited ERIAC on 01 June 2018. Dr. Fabritius, who was born in the region of Sibiu, Romania, has been holding this post since March 2018, succeeding Dr. Günter Krings as the Federal Government Commissioner for Ethnic German Resettlers and National Minorities. A Transylvanian Saxon, Dr. Fabritius has also been President of the German Federation of Expellees (BdV) since 2014. 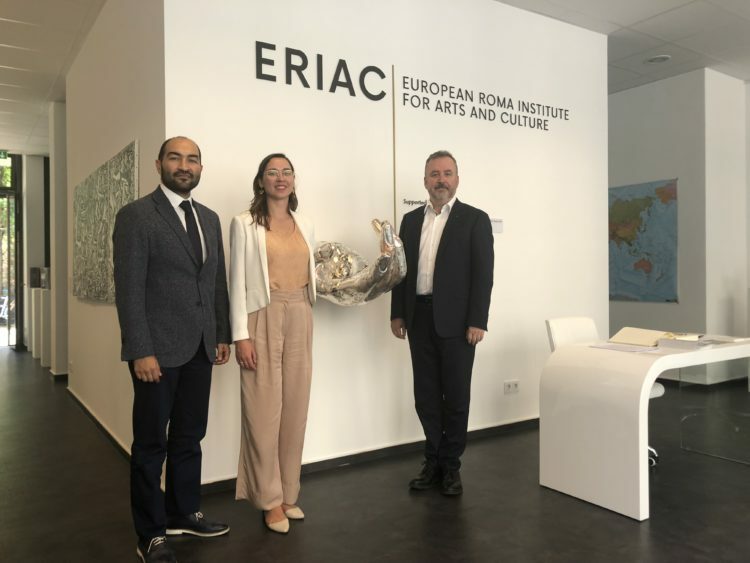 The meeting was hosted by Zeljko Jovanovic, Chair of the Board of ERIAC and ERIAC Deputy Director Dr. Anna-Mirga-Kruszelnicka, who presented the brief history of ERIAC’s establishment, recent activities, and plans for the future. The visit concluded with a guided tour of the ERIAC’s new exhibition “The Roma Spring – Art as Resistance”.